RayBans - 4 Piece - having fun at your event ! Contemporary, Sophisticated, Versatile - these are some of the hallmarks of the talent-rich entertainment professionals within the RayBans ensemble. 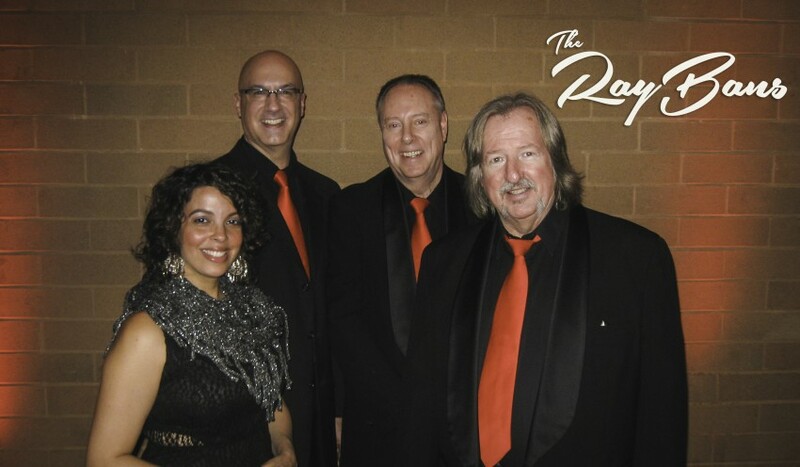 The RayBans have expertise in entertaining our audiences in a variety of genres, such as; Contemporary, Motown/Soul/R&B, Disco, Classic Rock, Smooth Jazz, Island & Beach and Country. We have something that will appeal to each and every one of your guests! STEEL DRUM ! 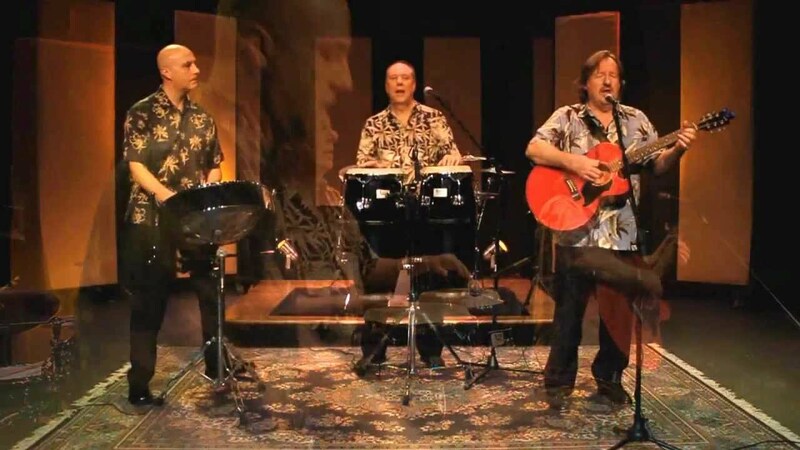 - experience the feel of the Caribbean with the addition of our steel drum player Rich Maurer, as we perform the special Island themed selections on our repertoire. Clients love this music for their cocktail hour! Available in 2 - 5 pieces. Full disclosure: I am former CEO of multi-billion dollar corporations and highly critical of services delivering on promises, providing outstanding customer service and representing a value. The RayBans received a "10" from me in all three areas. Their performance was superior to what I saw on their promotional videos and I frankly do not know how the got such a "big sound" out of three musicians and a powerful lead singer. The lead singer, DD Magdalena, evokes the sounds of some of the greatest female vocalists from Diana Ross, Tammi Terrel, Gladys Knight and Martha Reeves to more current artists including Shakira, Katy Perry and Lee Ann Womack. Simply stated, she has great pipes and can perform your favorites. The musicians in the group are experienced, highly talented, provide great back-ups and take the lead on male vocals. The RayBans got our group up on the floor and dancing and could not have provided better entertainment for our reunion. They played an outstanding array of hits from the 60's through today's hits. One last important element and that is, customer service. The RayBans made it easy from our initial contact all the way through the end of our event. Their follow through and attention to detail was impeccable. Their response to e-mails was immediate and their communication was always straightforward. Most importantly, they wanted to make sure that our we received the entertainment we were seeking and worked hard to ensure our satisfaction. By the evening, we felt we had mad new friends and were sad to see them taking down their equipment. They were a great value and I would DEFINITELY book them again for a future event. Thank you Jim for your very positive feedback, and for choosing the RayBans for your reunion. We appreciate the fact that our clients notice the wide variety of selections we perform, and making the booking process and event planning go as smooth as possible. We strive for great customer service, and it's very rewarding to know that we hit the mark for your event ! I was very impressed with the Raybans who played at our resident appreciation Clambake this past Friday. We are a luxury apartment community and host a once a year party for our residents. Craig, who heads up the Raybans, was super nice and easy to work with especially when we had to postpone our party a week due to weather. They played a very good mix of tunes for our residents of mixed ages. Everyone commented on how good of a job they did. I will definitely have them back for our future parties! The Ray Bans were a big hit at our party. The Ray Bans performed at a 60th birthday party with over 100 people of assorted ages in attendance. They were awesome! They honored any requests, played a variety of music to listen and dance to . We would not hesitate to recommend them for any size group or venue. They are very service oriented and will work with clients to ensure expectations are met! Thank you so much Kathy - we had a great time performing for your guests, and thanks for mentioning that our material appeals to a wide variety of guests, as we "aim to please". We have an annual Luau with 100+ people and have tried different bands or DJs over the years. This year, we hired the RayBans and they were a huge hit. 2 days later everyone is still talking about how great the event and the band was. We will definitely book them again next year. They were very accommodating to special requests and played the perfect mix of beach, island, classic rock, and pop music. The audience was teenage to 92 years old and every loved them. Thanks guys! 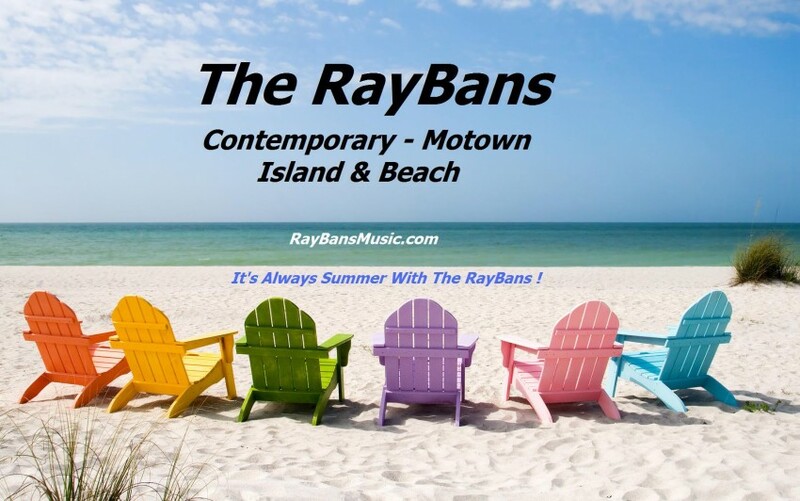 Thanks Mike for the great review - also for mentioning that the RayBans perform a wide variety of dance music, which includes Contemporary, Motown/R&B, and Classic Rock. We are a dance oriented group with an "island flair". Looking forward to next years' Luau already ! The Ray Bans were awesome !!!! The Ray Bans played at our wedding on Friday July 17,2015 at the Lakeside Inn at Geneva-on the-Lake. The bands sound was great. The singing was fabulous!! The band was professional. Everyone totally enjoyed them. They would be my first choice if I need a band again. Stellar performance!! 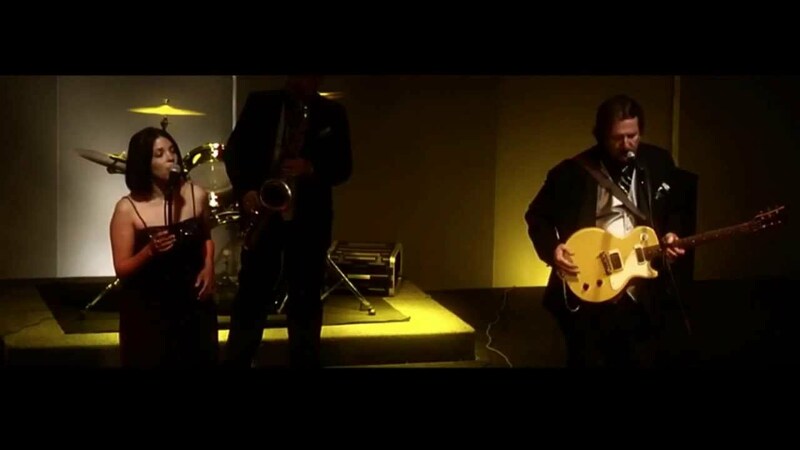 My husband and I hired FasTrack Band to play at our wedding reception in August 2012. They were absolutely fabulous!!! The band was very friendly and professional and the music was top notch!!!! Everyone had a blast and the dance floor was packed the whole evening...they really rocked it out!! The diversity of music they played really accommodated our diverse guests and we received many compliments on FastTrack. We highly recommend them for a reception or party. The RayBans are a Dance Oriented band. Our sets are very organized, and we go from one song to another without interruption, for the audience's maximum dancing enjoyment. We go from Adele, to Aretha Franklin, to Van Morrison, to Nora Jones, to Kid Rock, to Carrie Underwood - all in one set. Our audiences are very impressed with the variety of music that we perform, and we appeal to the musical tastes of the majority of the audience. We like to keep the dance floor packed. We are one of the top 5 piece wedding bands in the Cleveland Ohio market. Our singers are top notch, and our musicians are veterans of the music business. The RayBans are an extremely versatile ensemble, which is available in many different configurations. From 2 to 5 pieces, we have an act for any size venue or budget - we've got your event covered. We play a wide variety of dance music, and have "something for everyone" ! The RayBans are perfect for summertime events, such as, yacht clubs, pool parties, private events, and island themed weddings & events. Check out the RAYBANS video on the video page. Supplemented by professionally produced backing arrangements, which exactly replicate the original recordings, The RayBans create a "full band" sound, while utilizing only five performers. This unique approach distinguishes The RayBans as a diverse, professional and entertaining live act, providing as much "entertainment value" as other ensembles much larger in size. For OUTDOOR events, we require a solid level surface, such as a deck or patio. Also we require cover over the band, in the form of a tent or canopy. Please contact us for specifics. SOUL MAN - Blues Bros.